Studies into non-human sentience and intelligence have traditionally been hampered by the inherent anthropocentrism of the experiments themselves. The modern fields of cognitive science and animal behavior continue to chip away at this subjective stumbling block, providing useful glimpses into the potential held by the sentient species we share our world with. As we search the stars for signs of life and continue to refine and improve on what artificial intelligence can do, it’s worth remembering how little we really know about the alien minds already around us in the natural world. 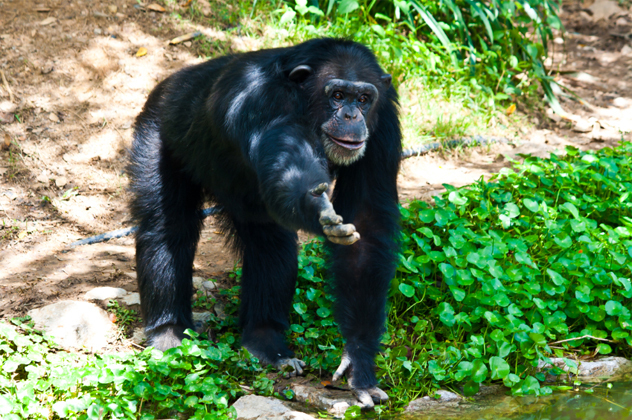 Recent chimpanzee (Pan) research has revealed that certain species in West Africa have been using stones to fashion crude Stone Age tools and have been smashing nuts for almost one million years. The major difference between Stone Age humans and these chimpanzees is our larger, richer, fattier brains, which initially arose due to a genetic mutation. This mutation helped to facilitate our subsequent invention of fire and cooking and resulted in the protein rich diet we needed to grow bigger brains. One contemporary study had involved introducing chimpanzees to a simple oven which they could bring their food to and have it cooked, if they wanted. The subjects quickly began to utilize the oven to have cooked vegetables and meat, and they favored the cooked meat over the raw fare they were used to. Researchers recognized what a big risk this represented to the subjects—the chimpanzees had to give up their existing food for an unfamiliar “process” and a superior alternative. The end results also implied a potential toward future fire use. The long-tailed macaque (Macaca fascicularis) has a smaller brain than chimpanzees, but has nevertheless proved far more proficient at exploiting the modern Holocene landscape than our splintered and declining hominid cousins. In fact, long-tailed macaques hold the title for the most invasive non-human primate in the world. Significantly, M. fascicularis populations on Thai islands are also using stone tools, and the species has aggressively expanded into new territories on numerous other islands in different countries, including Mauritius and Hong Kong. They are smaller and more versatile than bears, bigger and longer-lived than rats, and possess more dexterous forelimbs than dogs. 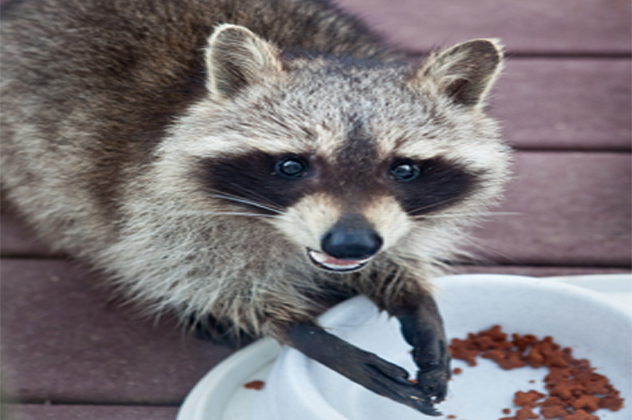 Raccoons are flourishing under the environmental changes they’ve encountered in the Holocene. In 1907, psychological studies were conducted which found that raccoons outperformed dogs in cognition and performed on a similar level as monkeys. Suzanne McDonald’s research showed that raccoons are adapting and becoming smarter in our urban environments, developing new foraging strategies and learning to open bins and doors. This new habitat is forcing raccoons to higher densities than they have experienced before, necessitating more complex social interactions. Researchers have as yet found no evidence of increased social cohesion or alliances between these characteristically solitary animals, though it would seem that raccoons are facing selection pressures to move away from solitary foraging behavior and toward group living. 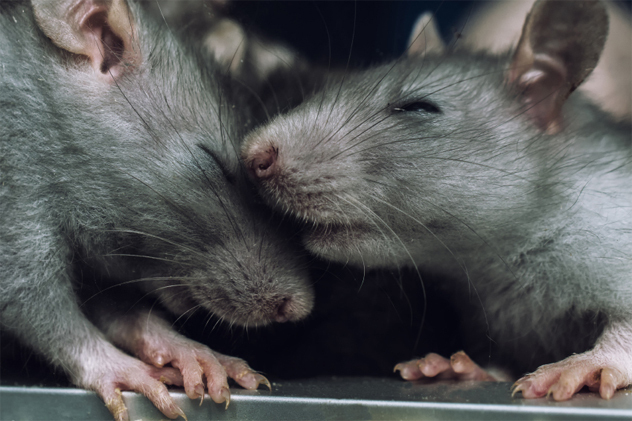 Abundant, highly social omnivores with rapid generation turnovers and extremely adaptable natures, rats and mice are capable of surprisingly advanced cognitive and social feats. Richard Dawkins discussed rats while writing on animal consciousness, pointing to experiments from 1986 and 1991 which showed rats linking casual scent signals from their environments with observable outcomes in other rats to alter their own feeding preferences. This let them choose the safest and healthiest food options, and rat colonies soon adopted inter-generational feeding “traditions” in order to collectively learn to avoid poisoned foodstuffs. Contemporary research has also demonstrated rat altruism, with the subjects choosing to help a drowning companion rather than receive chocolate. Conducted by John Calhoun in 1972, the Universe 25 experiment placed mice within a contained “society” that comprised multiple living chambers and limited resources. As the mouse population boomed and began to suffer the impacts of overcrowding and competition for resources, the resulting dystopia showed haunting similarities to an overcrowded human population. Notably, a class divide appeared between highly aggressive resource-deprived mice and the secure and increasingly more aberrantly behaving individuals that held the best territories, which in turn became obsessed with self-grooming and abandoned all mating and care for their young. Research from the University of Minnesota shows that urban rodents have been increasing in brain size over the 20th century as they continue to adapt to their new environment and evolutionary potential. Recent canine research is doubting the familiar tale that early humans domesticated wolves and bred them into the dogs we know and love. The prevalent contemporary understanding involves a far muddier relationship with wolves gradually learning new ways to exploit human communities for food, parasitically carving their own niches on the fringes of human settlements all by themselves. 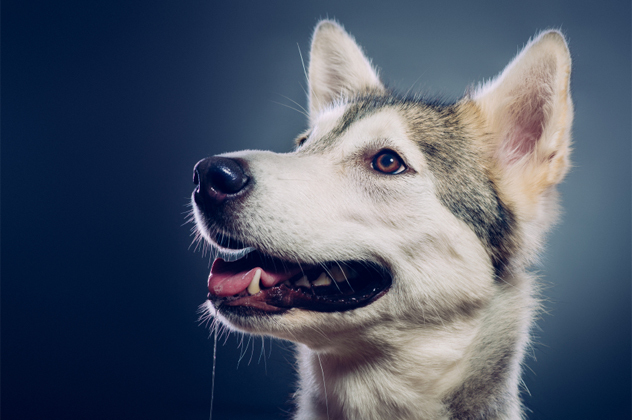 Canine evolution is ongoing, and our perhaps not-quite-so-faithful companions seem well placed to keep proliferating and adapting as the Holocene unfolds around them, with aggressive, hybridized forms of wolves and coyotes recently documented in North America. Domestic dogs have demonstrated language capabilities superior to chimpanzees and learn words in a manner more akin to human children. They’re able to actually infer the meaning of unknown words based upon the situation at hand. Professor Brian Hare was most impressively able to use this conceptual ability to teach his dog Chaser more than 1,000 object-based nouns, although he doesn’t consider his dog to be anything particularly exceptional. At the species level, domestic dogs, in a very real sense, are using humans as tools to advance their own sentience. By doing do, they can rapidly teach themselves to perform new tasks, such as learning to open gates through direct mimicry. Despite being fellow mammals, dolphins leave cognitive scientists scratching their foreheads. Cetaceans—mammals that live underwater—communicate 20 times more efficiently than primates, mainly because their primary sense is auditory. Humans also use auditory communication, but we’re much better suited with visual information. 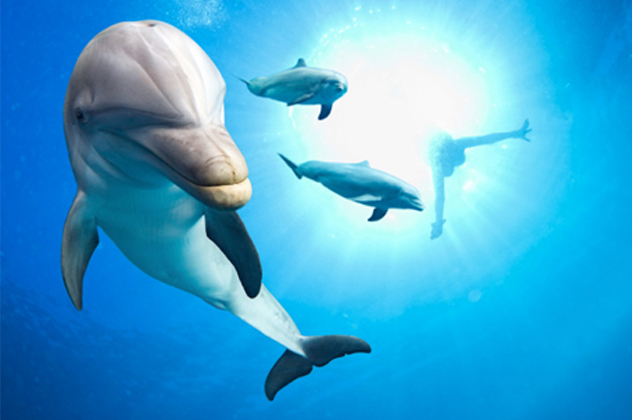 Michigan State University researchers suggest that dolphins can transmit simple pictures in sonar to one another. While it’s extremely difficult to test, the parts of the brain that are linked to emotion and related cognition appear more advanced in dolphins. There remains intense debate about how strongly this correlates with actual cognitive function. While the presence (or absence) of dolphin language continues to elude cognitive science, researchers have succeeded at teaching bottlenose dolphins (Tursiops) simple languages composed of audio and gestural cues. Recent evidence suggests that wild dolphins use signature whistle calls that perform the same function as human names. While dolphins display simple tool use, they remain limited by their lack of prehensile digits and their inability to manipulate and control their environments. Sadly, the study of cetacean intelligence has taken decades to recover from the spectacularly bizarre and unsuccessful experiments of John Lilly. In terms of cognition, the New Caledonian crow (Corvus moneduloides) is a tough act to top. One crow, nicknamed 007, beat one of the most complex tool-using tests ever developed for animals. Another specimen, nicknamed Betty, made a simple tool by bending wire much faster than any other animal observed. The abilities of this species necessitated the shift in animal cognition research and required a major reevaluation of avian intelligence and its potential. 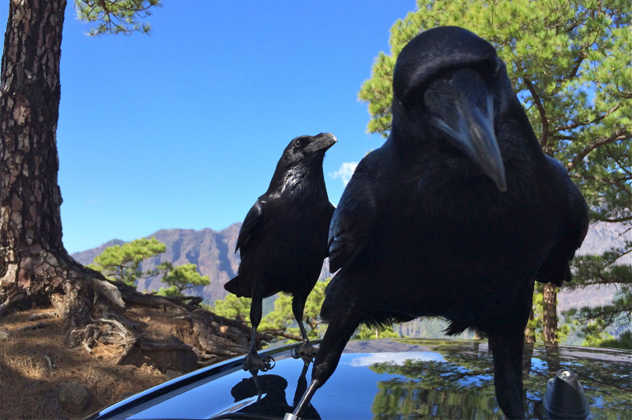 The studies of corvids by John Marzluff from the University of Washington showed that crows taught one another to recognize threatening humans. In this test, the crows antagonized the “dangerous” masked subject at first sight because that same subject had previously threatened other crows in their group. The crows were prepared for this bad person due to prior communication within the group and knew what to expect. Strange things occurred in the evolutionary history of New Zealand’s South Island. Complete isolation from terrestrial mammals created new niches and selection pressures for birds to exploit . . . with impressive results. When New Zealand was colonized by humans, its endemic crows bit the dust, while the Kea (Nestor notabilis) remained to ransack cars and raid rubbish bins. Kea are alpine parrots that perform comparably with chimpanzees in cognition. They are particularly impressive at displaying strategic restraint before acting and have been taught to use stones as bartering chips for food. 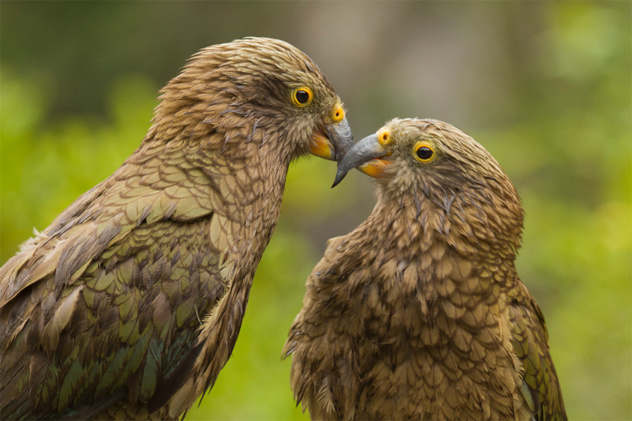 Avian behavioral expert Alan Taylor considers Kea more intelligent than New Caledonian crows due to their advanced social behavior and curiosity. Kea excel at group learning because of their ability to learn and copy one another’s successful behavior. Kea are near-legendary foragers, with some even learning to attack and kill sheep. They are long-lived—with a delayed maturation like human adolescence—and have an extremely complex social hierarchy. Their vocal repertoire is highly complex but not demonstrated as much as other parrots, and there is still much to uncover regarding their communication mechanisms. Animal ethicists have pointed toward the central nervous system (CNS) as an indicator of consciousness. The problem with this approach is that octopuses are clearly conscious, but they don’t have a CNS. 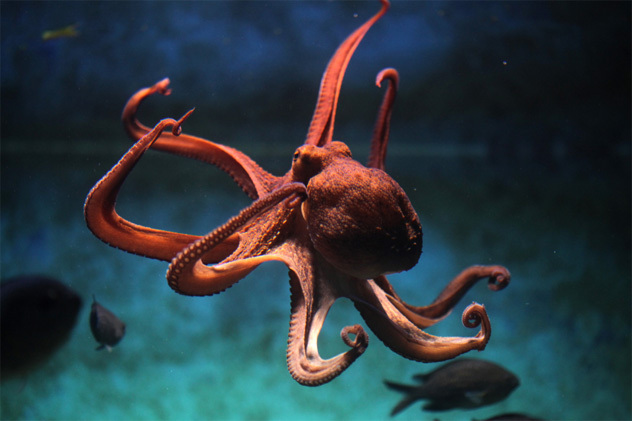 Stories abound of octopuses escaping from aquariums, climbing across rooms to steal oysters from other tanks, and altering their behavior toward different people based solely on visual cues. Despite performing comparably with many mammals in IQ tests, octopuses have been around 230 million years longer. Octopuses are documented exhibiting play and tool use, and individual octopuses have been shown to have distinct personalities, just like humans. Every sucker on an octopus’s tentacles is capable of opposed grasping similar to the human thumb and forefinger, allowing amazing mechanical dexterity and object manipulation that put primates to shame. Yet octopuses are extremely solitary beings that live in natural isolation from social interaction. They also only live a mere three to five years. When we think about a higher sentience, we tend to forget about arthropods, but some are surprisingly bright. Various crustaceans are able to recognize and remember one another for at least 24 hours at a time, and jumping spiders can strategically hunt prey to a certain extent. A single ant is hardly a Nobel Prize contender, but as a colony, they can band together to achieve some remarkable feats. This type of community made up of closely related drones is called a superorganism and solves problems by replicating simple, individual actions to create complex patterns. An individual ant, however, is far from mindless, as studies have demonstrated both learning and altruistic behavior among the groups. Those of a suitably philosophical or paranoid bent often compare ant hives with human cities, and for good reason. Ant hives are extremely complex structures and, in some species, comprise many hundreds of linked chambers. Driven by the individual minds and using pheromones and genetics to integrate their collective output, even a regular ant colony can overpower and capture larger insects and vigorously defend its territory from other intruding colonies. 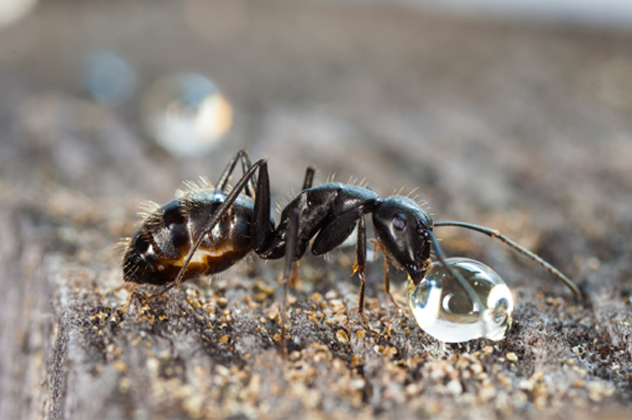 Worryingly, ants have recently overcome a severe constraint to colony size and complexity. The Argentine ant (Linepithema humile) has been able to form colonies around the world with billions of workers and multiple queens that covers hundreds of square kilometers. These “supercolonies” are virtually immortal and are able to rapidly dominate any habitat they enter. Eminent mycologist Paul Stamets views mycelium (vast, intricate networks of fungal hyphae that riddle our soil) as sentient entities in their own right. In fact, he goes so far as to describe them as intelligent beings that function as nature’s Internet, connecting and regulating various aspects of the life cycles of plants and ecosystems. He also speculates that it might be possible for people to communicate with mycelium directly. 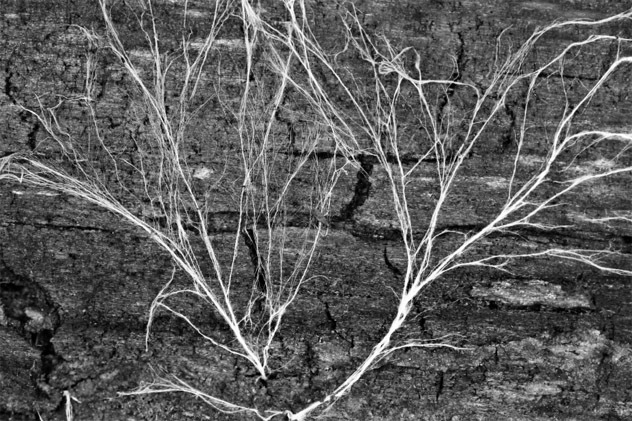 Stamets frequently points to the proven capacity of fungal mycelium to learn and respond to environmental changes through changes in their growth patterns as a key sign of this intelligence. He cites a study on slime molds undertaken by Toshuyuki Nakagashi in 2000 as proof of the learning capabilities of a cellular network when exposed to a problem. Nakagashi’s slime molds were able to navigate mazes by filling every possible route and then eliminating all the blocked and needlessly circuitous passages to concentrate their growth along the maze’s most direct path. In fact, slime molds prove so efficient at building efficient feeding networks that engineers are beginning to engage them to assist in solving large-scale resource distribution problems. Richard Doyle extends some of Stamets ideas into sociobiology by proposing that mycelium also integrate and connect humans in subtle ways, suggesting that psilocybin-producing mushrooms have co-evolved with us. He says that they’ve provided our species with a chemical key into an abstract Jungian realm of figurative imagery and concepts called the Noosphere, from which we derive aesthetic and artistic ideas of broad cultural resonance. Doyle suggests that, throughout our evolutionary history, heightened immersion into the Noosphere benefited our ancestors with increased reproductive success due to their resulting novel outlooks and heightened individuality.